Are you moving to the UK? I suppose so if you’re reading this post! Congratulations, hope you’ll love it here! Because I really do. In this post, I’ll tell you about things you should do upon your arrival to the UK. 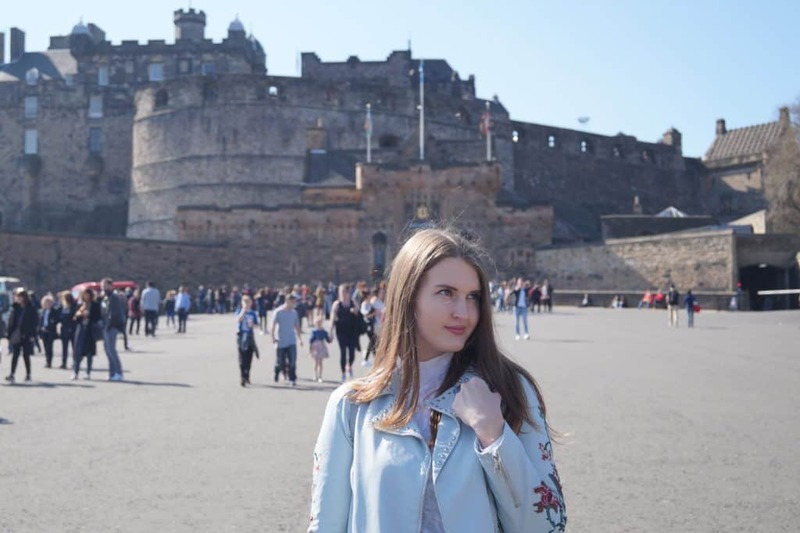 I moved to Edinburgh, Scotland in September 2014, the new academic year has just started and I was a very excited and shy Master student, who just moved somewhere for a whole year. 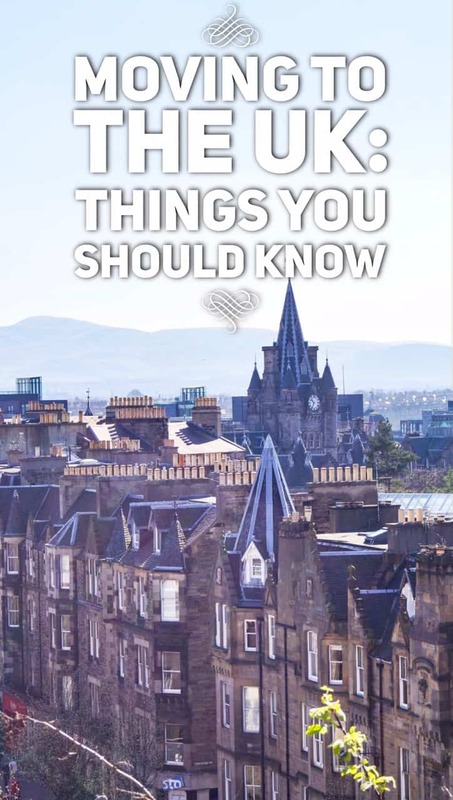 If you’re a student, moving to the UK is quite easy – the university will help you a lot, plus if you’re staying in the university accommodation, you literally have to do nothing – they will do all the paperwork for you. If you’re an adult, who graduated some time ago (or didn’t study at all, it’s your choice, after all), your situation is different. I experienced that too because I moved back to the UK in February 2017. There so many things I had to do and even more – I didn’t even know about them. Luckily, Pepe was there to help. So what will be the tips for moving to the UK? First of all, if you have a visa, and it’s mentioned there, that you need a police registration, you need to go to police within 7 days of your arrival. If you’re a student, don’t worry, police will come to the university one day to put a huge stamp on your passport. If you aren’t a student, well, then you need to come to the police yourself. In case you don’t need a visa or it’s not stated on your visa, well, then you don’t need to go to the police at all then. Also, you need to get a proof of address. This is probably the most important document you need in the UK. You will need a proof of address for almost anything: to open a bank account, register with NHS, get a SIM with a contract and so on. How to get the proof of address in the UK? Well, first of all, you can hire a flat and sign a contract with the letting agency or a landlord. In case this document has your name and the address of the flat – you can use it as the proof of address in the UK. Sometimes it’s not possible to sign a contract with a landlord, in case you’re sharing a flat with someone who already signed the contract and just sublets the room to you. In this case, you can convince this person to change the name of the utility bills payer (gas, electricity) to your name. Utility bills can be used as the proof of address perfectly well in the UK. This is probably the easiest and the fastest option. Also, you can (and need to) register for the council tax and that’s how your name will appear on the bills. If you’re a student, contact your student accommodation for the proof of address in the UK. Or if you’re renting a flat – contact your landlord (well, you probably have a contract then). Everybody who’s renting a flat in the UK (and is not a full-time student) has to pay a council tax (unless it’s already included in your rent price), but usually, it isn’t. In order to register with Council tax, you need to contact your local authority. The easiest way is just google the name of your city together with “Council tax”, e.g. Edinburgh Council Tax. You can set up a council tax payment online via direct debit, card or internet banking. There are also other ways to pay Council tax (e.g. at the Post Offices). In case you need to change the address or add another person to the property, I found out that the easiest way is just to pop up at one of the Council Tax offices around the city and tell that in person. It works 100%. All your utility bills you can also pay online (to your provider). In my case, the utility provider is Scottish power – they have a pretty nice website. However, in order to change the name of the account to my name (in order to get the proof of the address in the UK) we had to call Scottish Power 5 times and wait around 40 minutes on the line every single time. But in the end, it was done. Once you obtained the proof of address in the UK, you can finally open a bank account, apply for the National Insurance and NHS. In order to open a bank account, you will usually need your valid photo ID (passport would work) and the proof of address in the UK. Some banks also have additional requirements (like HSBC – it requires a work contract) or Santander sometimes asks for your National Insurance number. In case you have a temporary EEA Family Permit visa and you applied to convert it to EEA2, most probably you won’t be able to open a bank account – banks are very picky with the visa length. The medical help is free in the UK. In order to be eligible to get the free medical help, you need to register with NHS. Just find your local NHS clinic, bring your ID and the proof of address and fill the form they give you. You will need a National Insurance in order to pay taxes when you’re working in the UK. In order to apply for the NI, you need to call your local authority. Also, in case you booked a flat for quite a while, you probably need to find a TV and Home broadband provider. Most of the contracts run at least for a half a year, so choose your provider carefully. As for the sim card, you can only buy a data plan when you have a bank account, but you will need a mobile phone number in order to call council tax bureau or in order to apply for National insurance. So it makes sense being a pay as you go card and once you open a bank account, buy a proper data sim with a contract. The data sim cards with a contract are way cheaper than the pay as you go card. That’s pretty much it when it comes to moving to the UK. In case you have any questions regarding moving to the UK, don’t hesitate to ask! How to rent a flat in Edinburgh – Mission Impossible. Mould and Mice. Hey Liza, I’m so glad to find your post. I plan to move to Edinburgh with family, and hopefully start my postgrad there after we settled a bit. I have such a chaos in my head, organising all the moving-country changing-school-nursery-job-postgrad stuff even though I lived in Scotland before so I have NI number, bank account already. I’ll be there next June (2018.) if you don’t mind I may contact you (I have no friends in town)… asking some questions about studying, getting into postgraduation or even PhD program and where to get a nice cup of coffee 😀 Thank you! Hi Sylvia! Thanks for your comment! Sure, you can always drop me a message! Good luck to you! I’m trying to get a job with NHS as a US citizen I know I’ll have to get a tier 2 visa and I’ve heard it can be difficult. I have hard to find job skills and my profession is on the shortage list. Do you have any suggestions for the hiring and visa process? Thank you very much for sharing this moving tips. Hi Aurora! It depends on your bank – some banks charge double commission for payments in a foreign country and it could be cheaper to extract money from the ATM instead. I suggest you contact your bank and ask them – I’ve done it myself before I visited the UK for the first time as a tourist and with my bank, it was easier to exchange money beforehand and just bring pounds to the UK and pay in cash.